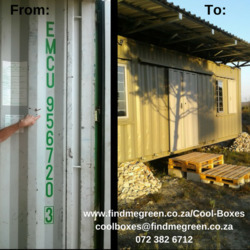 Cool Boxes (www.findmegreen.co.za/Cool-Boxes) designs and builds shipping container homes. Starting at R180 000 for 28m². Contact us for a free quotation.